Prominent & Leading Exporter from Bhiwadi, we offer heat treatment fixture, high alloy sand castings, heat treatment furnace fixture and heat treatment tray. Our range of engineering castings are made of superior quality metal, designed and developed by experienced engineers. Our range is known for its excellent quality and huge in demand among clients across the nation. Our range is available at market most leading price. We are one of the leading names engaged in manufacturing and exporting of a wide range of Heat Treatment Fixture for Furnace. 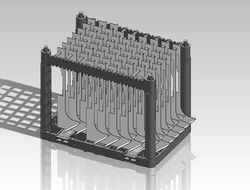 With the help of latest technology and manufacturing facilities, we are able to offer a wide range of Heat Treatment Trays and Fixtures through sealed quenched furnaces. To ensure required hardness, we provide heat treatment to ensure that these fixtures with stand higher temperature in the furnaces. 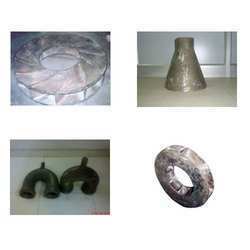 Looking for High Alloy Sand Casting ?